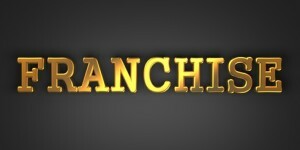 Franchise – Business Concept. Golden Text on a Black Background. money making franchise recipe, it is crucial that you understand the components of what makes a franchise successful. A clear understanding and realistic expectations of what a franchise business model encompasses, and a clear understanding of their legal responsibilities will promote success and longevity in business. George, Sigalos, the managing partner of Simon & Sigalos, LLP; Boca Raton, Florida, wrote the following guest post which helps us to gain an idea of some of the key components in the franchisor and franchisee relationship. Enjoy! While franchisees and franchisors enter relationships with the best of intentions, sometimes these plans go amiss and the finger pointing begins. When a franchise business fails and litigation ensues the main issue is whether the liability for a failed franchise falls on the franchisee or franchisor? While both parties are accountable in the relationship, the issue of liability for the failure frequently turns on contracts which clearly define roles in the relationship. Franchise contracts delineate the franchisor’s responsibility for providing a system for delivering a product or service (from hamburgers to child care), under a recognized brand, training, and other resources. However, it is up to the franchisee to follow the franchisor’s system and the practices that have led to other successful businesses in the franchise system. The bottom line is that the simple purchase of a franchise does not guarantee success. As with any business, success is predicated on hard work, business acumen, integrity, proper training and staffing, and sound financial policies. In many cases, the franchise process puts entrepreneurs on the fast track toward building a business with a sound product and proper support. Contracts provide the guidelines. However, when they fail, franchisees frequently make claims that the franchisor did not provide adequate training or support. For the franchisor to avoid this situation, franchisors should have clear and detailed contractual provisions that place the burden on the franchisee to obtain and accept training offered by the franchisor, rather than making it a covenant or obligation of the franchisor. While training in the franchise systems should be available from the franchisor, the responsibility to take advantage of it must be on the franchisee. A franchisor should also have systems in place to document the amount and extent of training offered and made available to the franchisee. The documentation of the franchisee’s utilization of the franchise training opportunities should also be contractually required. This will help minimize litigation by the franchisee on these types of claims later on in the event the franchised business is unsuccessful. This does not mean that the relationship should start with suspicion and an expectation of failure. Contracts are simply a way to clearly define performance standards, expectations, and responsibilities of both parties. It is just a sound business and legal practice to help avoid or minimize the chances of litigation in the future. Franchisors should also avoid extraordinary arrangements with franchisees, such as managing a franchised location for the franchisee.. These situations create obligations which could serve as a basis for claims against the franchisor such as implied partnership, breach of fiduciary duty, and other theories. However, if management of a franchised location is undertaken by franchisor they should have detailed and specific management agreements spelling out the limited duties, and include comprehensive disclaimers and limitations of liability provisions. While neither party anticipates a failed relationship at the outset, in the event a franchisee fails to properly operate its business, it is important for the franchisor to have a clear contractual justification(s) for terminating a franchisee. The franchise contract should have clearly worded and comprehensive termination provisions including determining what constitutes a breach of contract justifying termination and delineating the Franchisor’s remedies on termination. Contracts should include specific provisions that authorize a franchisor to retake possession and/or assume operation and control over franchised locations in the event of termination, and even short of actual termination in the event of certain defaults by Franchisee. Understand the nature of a franchised business. You are not buying a partnership or guarantee of success from the franchisor. You are buying a business that operates utilizing a specific system for delivering goods or services under a particular brand. While the franchise system may help you succeed, it is not a guarantee of success. Make sure to perform your due diligence before purchasing a franchised business. Franchise Disclosure Documents (FDD) are very informative but also very detailed and require a lot of effort to read and understand thoroughly. Engage professionals such as accountants and lawyers to advise you before deciding to purchase a franchised business. Take advantage of all the training programs and opportunities the franchisor offers and follow the franchisor’s systems and requirements in order to reduce your chances of failure. If you have a legal dispute with the franchisor, recognize the financial, personal and emotional toll a lengthy court case will have on you and seek alternative dispute resolution as much as possible. Business endeavors require the counsel of qualified advisors that include financial planners, accountants, attorneys, and other consultants. All parties should have safeguards and protections. Unfortunately, businesses cannot be operated on a hand-shake. Through well planned and written contracts, parties can protect their assets and investments and avoid costly and unpleasant disputes. George L. Sigalos is the Managing Partner of Simon & Sigalos, LLP. Mr. Sigalos practices civil litigation with a concentration in business and commercial litigation, including franchise litigation, bank litigation, real estate and land use litigation, professional liability defense, creditors’ rights and creditor representation in bankruptcy. The firm represents a variety of franchisors . For more information, visit www.simonsigalos.com. If you are considering becoming a franchisee in Nova Scotia, Canada, feel free to Contact Garnet Brooks garnet@entrepreneurlaw.ca, or use this handy contact form.